From the guy who loves wrestling "more than I love air" as our friend B-Cuddy puts it, welcome to another series of PPV History, here at Enuffa.com! 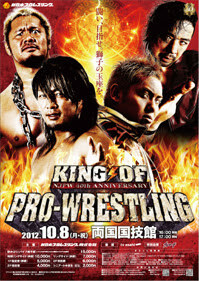 This time we're tackling the relatively new annual NJPW event, King of Pro-Wrestling. Unlike say a WrestleMania or the January 4th Tokyo Dome shows, KOPW has only been in existence since 2012, when the company made its debut on iPPV. But man, did New Japan kick things off with a bang. The inaugural King of Pro-Wrestling show garnered loads of praise, winning the Wrestling Observer award for Best Major Show of 2012, as well as Match of the Year. From then on, KOPW took its place as one of New Japan's "Big Four" PPV events; given its placement on the calendar relative to the Dome, you could liken it to a Survivor Series. The show has had its share of classic matches and stories, and it's always the most anticipated event of New Japan's fall season, perennially headlined by an IWGP Championship bout. The inaugural event is still considered one of New Japan's finest PPVs, no small feat considering how many spectacular shows they've delivered since. A loaded card featuring numerous championship matches and one for the G1 Climax briefcase (the first year that the G1 winner was guaranteed a Tokyo Dome main event), this show had a ton of star power and variety, and one of the hottest bell-to-bell crowds I've ever seen on a Japanese PPV. This audience sounded like 80s NWA. Now, taken by itself that's a pretty damn strong undercard. But the last three matches on this show were what really launched it to the next level. This is like those strobe photos of a baseball bat smashing the ball. So by my count, of the nine matches, the final three were ****+ and three others were ***+. That there is a goddamn excellent show, enough to win my vote for 2012 PPV of the Year. New Japan was just getting started, and they kicked off their modern era with a stellar night of wrestling. Incredibly they'd top themselves multiple times in 2013, including the second King of Pro-Wrestling PPV. What I'd Change: Not much, this show is great. Most Disappointing Match: The Naito match was short by necessity, but I guess that one. Most Pleasant Surprise: Okada-Anderson was a way better match than I expected. 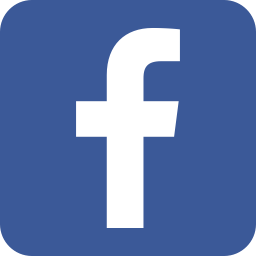 Thanks for reading - follow us on Facebook, Google+ and Twitter (@EnuffaDotCom)!